Combining the maneuverability of a walk-behind sweeper with the productivity of a ride-on sweeper. 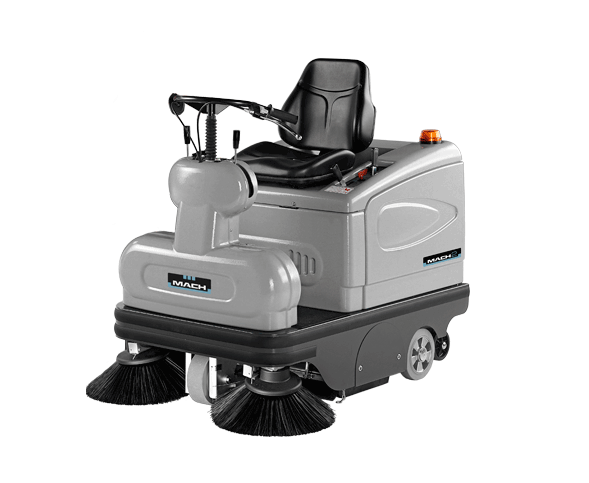 The MACH 2 is simplicity at its best, a reliable, economic sweeper that delivers uncompromised cleaning. 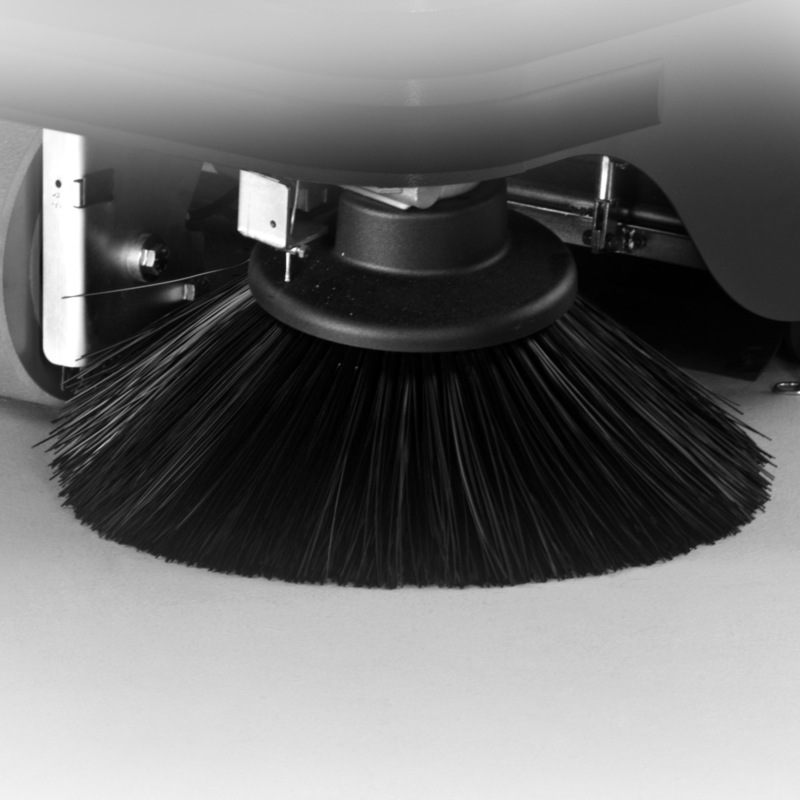 The turning point in sweeping, the MACH 2 is an innovative and economic solution to transform the way you clean. 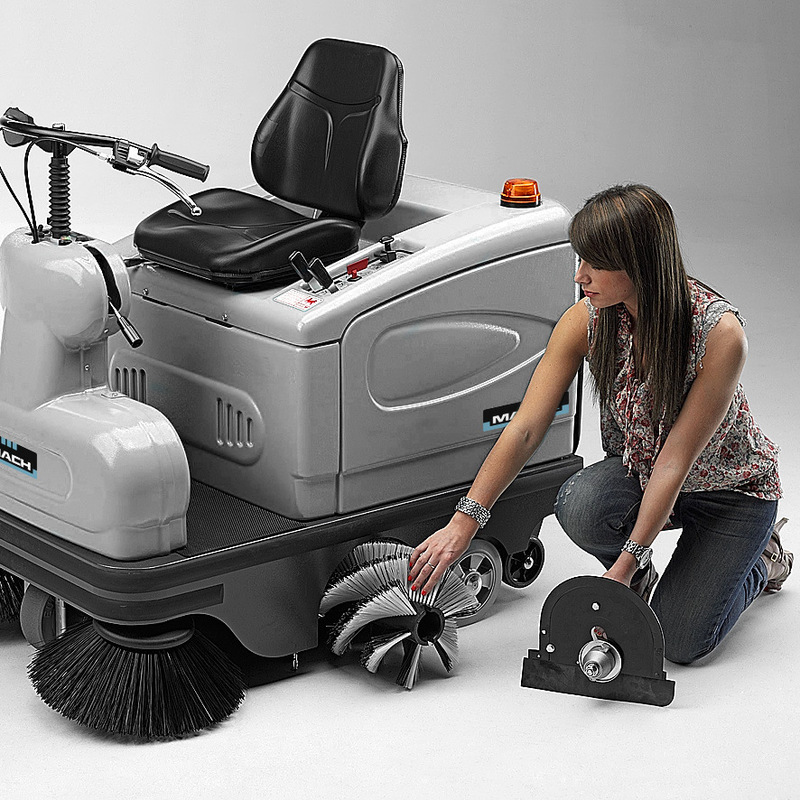 The MACH 2 is the first of its kind, containing all the essential features of a ride-on sweeper without being overcomplicated. High productivity with low running costs, it’s the economic solution to your cleaning needs. Its compact design enables the MACH 2 to be highly maneuverable, with a turning radius of just 95 cm / 37 in it’s perfect for narrow aisles and confined spaces inaccessible by a larger machine. 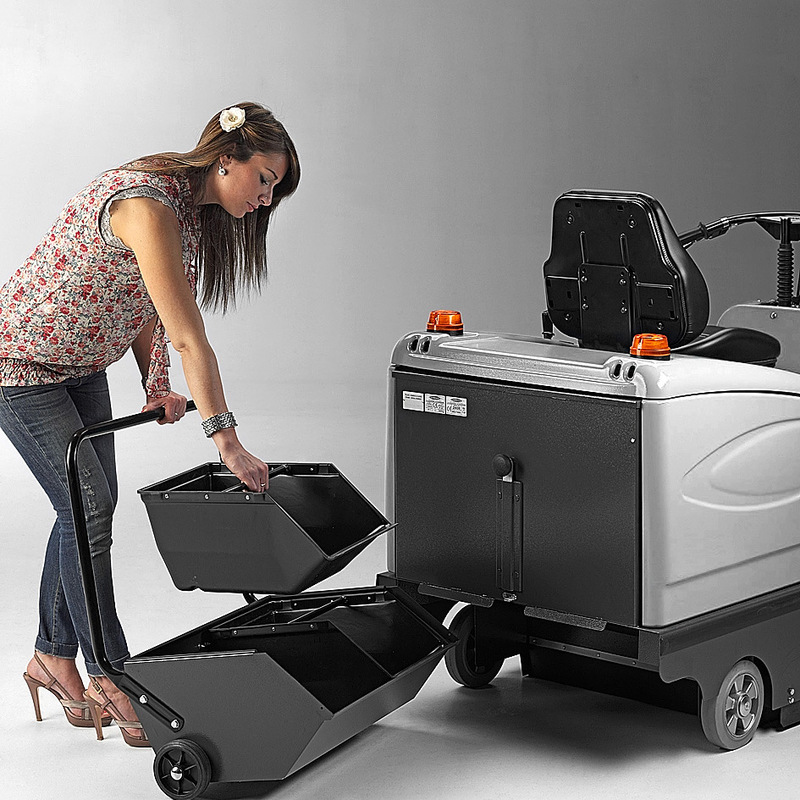 The MACH 2 is battery powered and emission free, well adapted to indoor environments, hard surfaces and carpets. 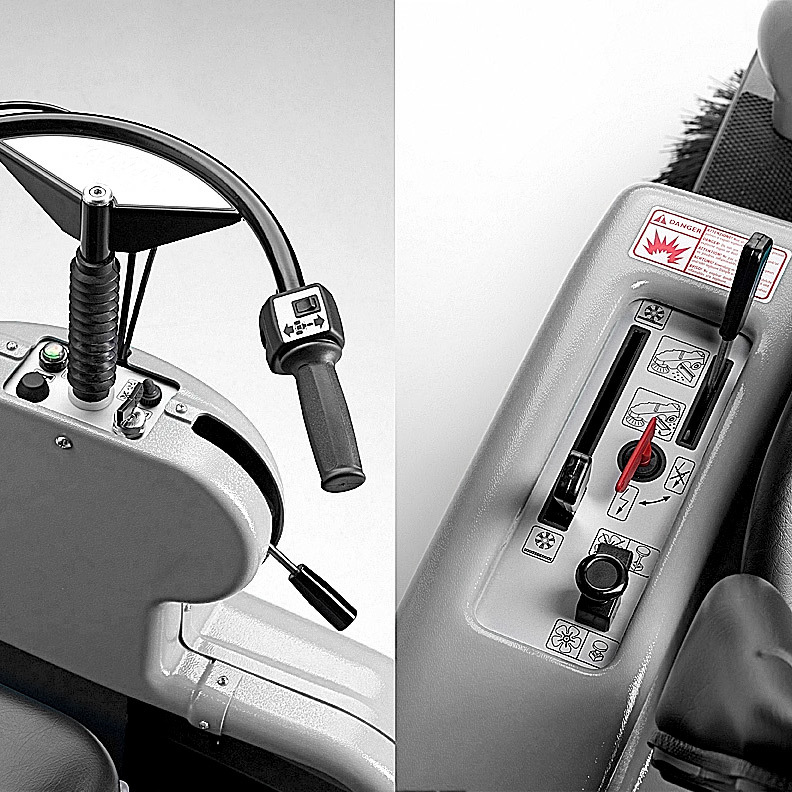 Complete control is at your fingertips, the MACH 2 is an operator’s best friend. The handle bar design enables light steering and the acceleration is controlled by a leaver on the handle bars. The intuitive control panel is fitted with key features and maintenance is simple with a fully opening rear cover providing access to internal parts. 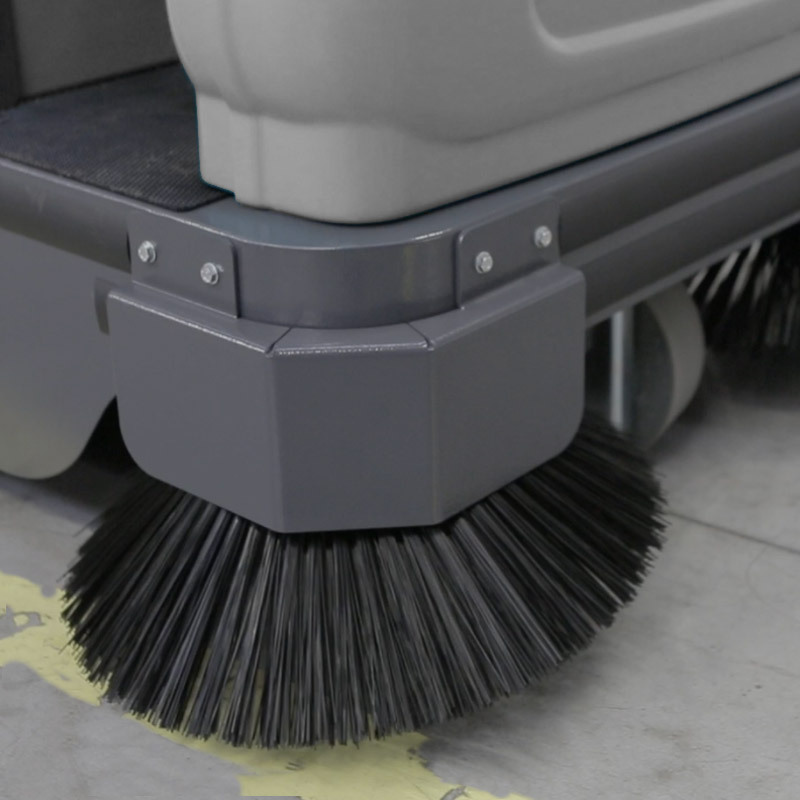 The MACH 2 generates incredible cleaning power, thanks to our intelligent vacuum filtration system, which delivers safe, dust free cleaning and optimum productivity. The filter is easily cleaned via a mechanical shaking system, ensuring a long life and low maintenance. 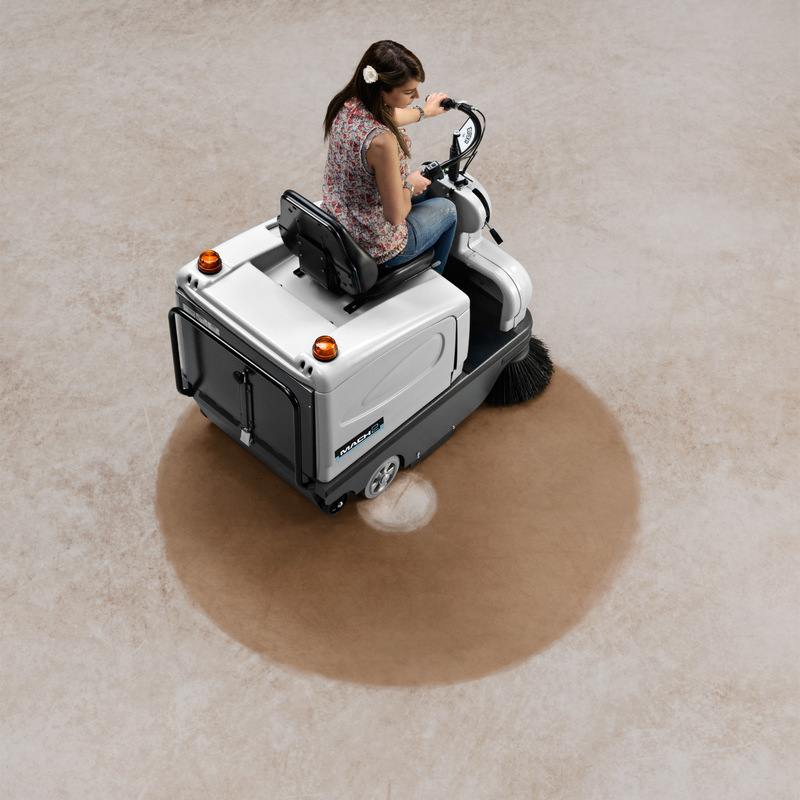 A compact design means high maneuverability, with a turning radius of just 95 cm the MACH 2 is perfect for narrow aisles and confined spaces inaccessible by a larger machine. The 63-litre hopper reduces downtime and increases productivity. Fitted with a convenient handle, wheels and removable baskets the hopper is easy to transport and empty. The floating main brush automatically adjusts to uneven surfaces. The cover has an innovative locking system, providing quick access to the brush, which can be easily changed without tools. 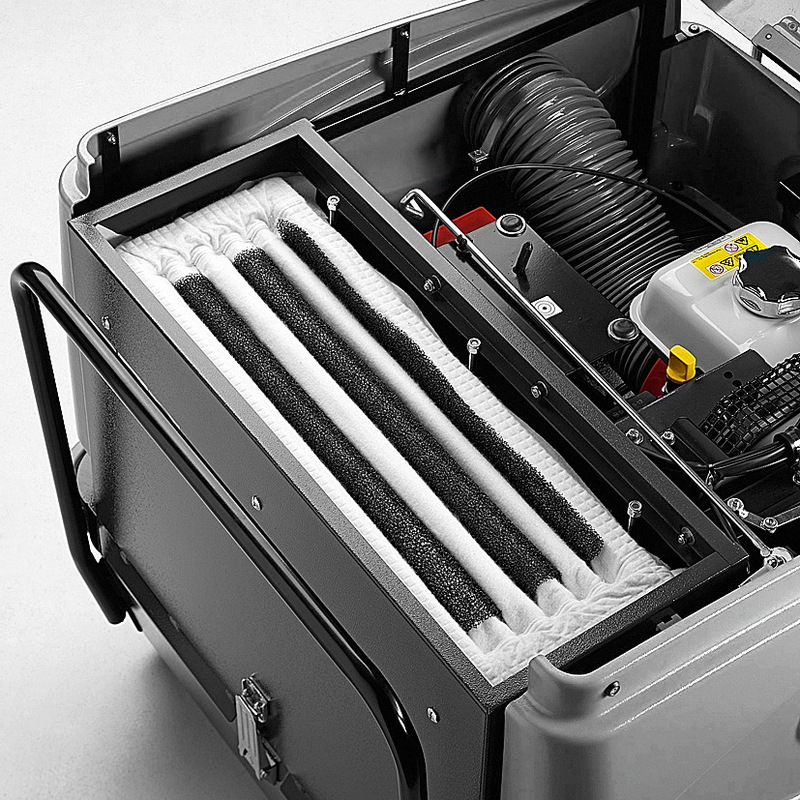 Innovative polyester house filter, captures 99.9% of dust creating a clean and safe environment. A mechanical shaker enables effective cleaning, reducing maintenance and increasing filter life span. Controls are easy to identify on a simple dashboard, providing full control of sweeping power - quick access to the key switch, brush control and vacuum filter isolation.